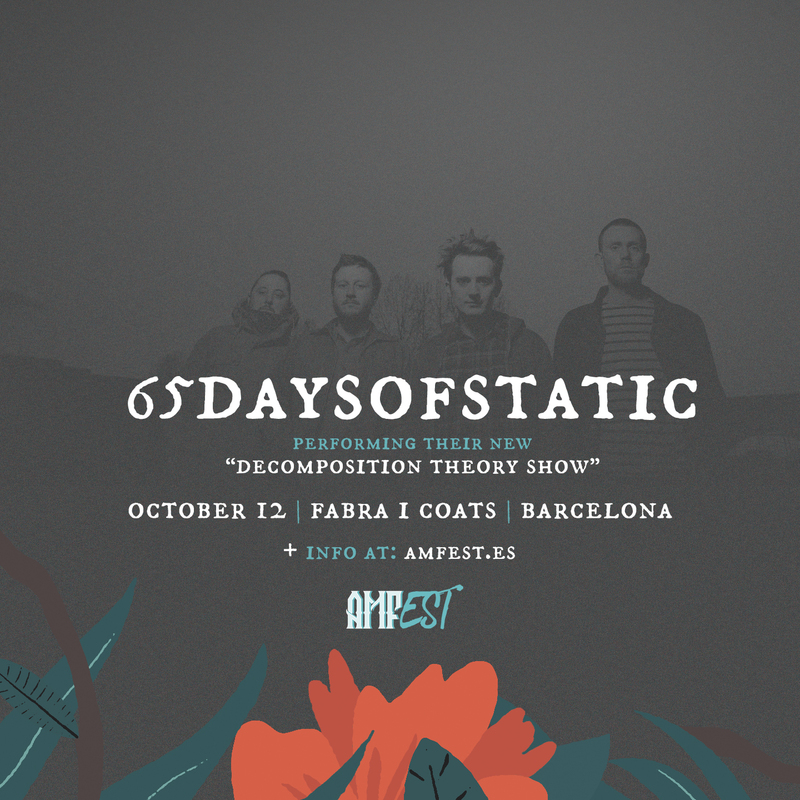 65DaysOfStatic is one of the bands that re-invented the idea of post-rock for us. Think and play out of the box, break the rules, add to their music sounds that were almost forbidden in post-rock. They evolved into a more complex band, got to create a videogame soundtrack in 2016 – ‘Music for an Infinite Universe’ and they are now launching a unique and completely new show based on live coding, ‘Decomposition Theory’. An audio-visual show brought to the extreme, lights and sounds meant to shake your bones, played for the first time ever in Spain. We chased them since the first edition of AMFest back in 2013 and we couldn’t imagine a better moment to finally have them with us, the “New” AMFest.